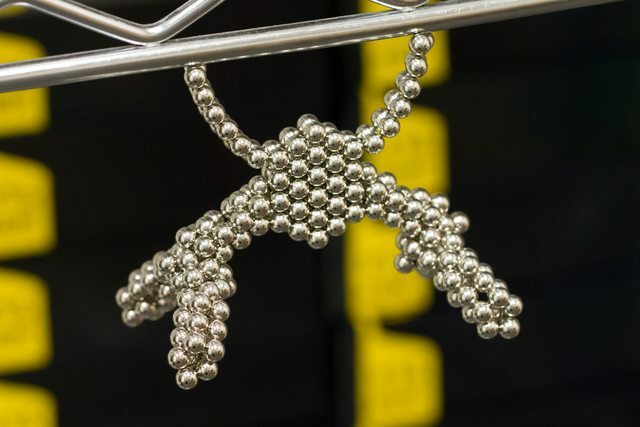 The January 2014 contest is to create a hanging sculpture using a maximum of 432 Zen Magnets. This is one of the less restrictive contests, so impress with your imagination. Only 4 magnets can be making contact with the hanging surface, and the metal hanging surface cannot be magnetized. The idea for this contest was spawned by dancondonjones of the Zen Gallery. No other load bearing objects may be used in your sculpture. Only Zen Magnets are permitted. As usual, the judges will be your peers. Pay attention to resolution, focus, lighting and framing. Sharp, high resolution pictures are preferred, but remember that your thumbnail will be hexagon shaped crop when shown among others. There will be at least FIVE winners, possibly more depending on participation. The prize for first place in this contest will be $65 Zen Credits, usable on zenmagnets.com or neoballs.com. All Zen Credits are also exchangeable for half their value in Bitcoin. Everything you submit goes into the public domain. Of course, the first and foremost requirement, is that you have fun! Submission deadline is the end of January.